We are excited to offer locally-grown, certified organic onion and leek transplants provided by our young farmer neighbor. 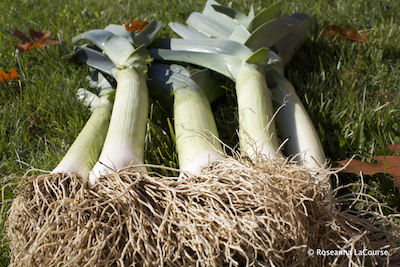 We have chosen four long day onion varieties (bulbs form with 14-15 hours of daylight) and one leek variety that should do well for you. 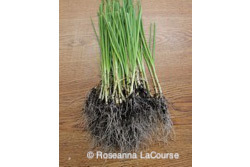 They are offered in bunches of 60-75 bare-rooted plants. We will ship on Mondays from April 1, 2019 until May 6, 2019. Please choose your preferred shipping date on the order form. The recommended transplant time is 2-4 weeks before your last frost. Check with your local extension agency for information on frost dates for your area. April 1 - Sold Out! April 8 - Sold out! April 15 - Sold Out! April 22 - Sold Out! April 29 - Sold Out! May 6 - Sold Out! 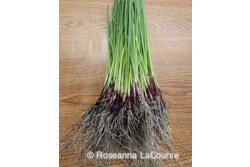 Browse these categories under "Allium Transplants"